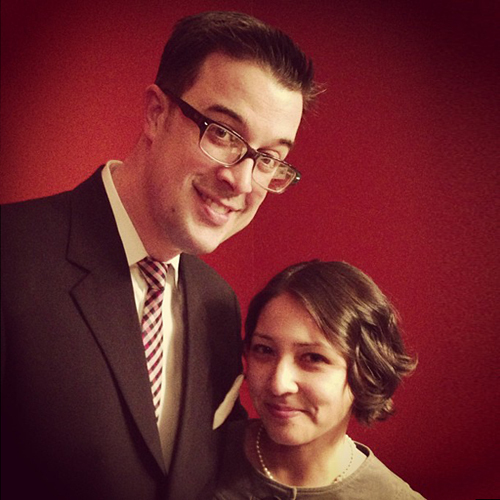 Aaron and I were invited to a Mad Men premiere party. Luckily Martha just posted a list of suggestions for a Mad Men party. 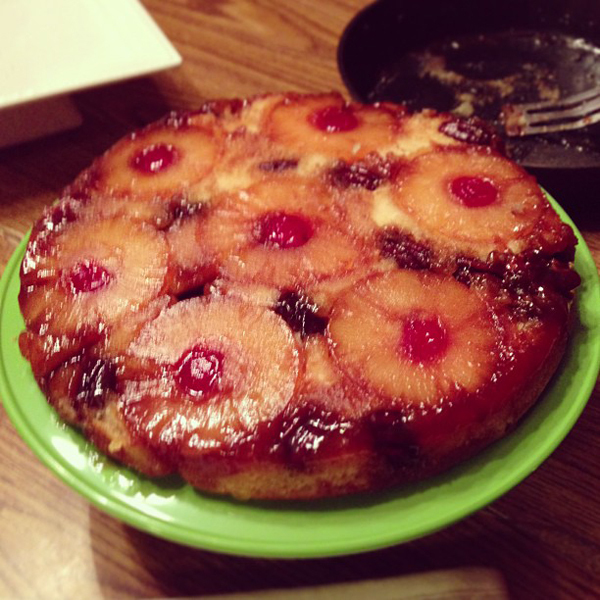 I made crock pot meatballs (which I didn't take any pictures of *gasp*) and this pineapple upside down cake. 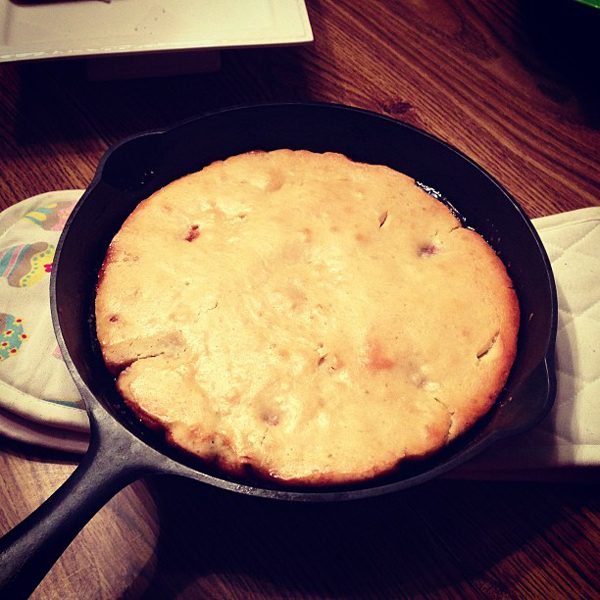 It baked in cast iron skillet. I love that! And it turned out really tasty. Aaron broke out the skinny tie and pocket square for the party. Do we look vintage? Really does look like a vintage photo. Love pineapple upside down cake. Yes you look vintage. I think EXTREMELY bright red lipstick and ear bobs would be good too. I remember in the '60's when pineapple upside down cake was the domestic diva's go to for dessert.